When it comes to online dating, the goal shouldn’t be to get offline and on a date as soon as possible. Yes, that of course is the end goal, and no, you aren’t looking for a pen pal. I get it. But the problem with going from “hello, it seems like we have a lot in common. Want to meet up for a drink?” to that in-person meet up is that the majority of the time, the moment you sit down across from them you know it’s not a match and that this is going to be another wasted evening. Aren’t you sick of wasting your own time?! Put a little effort into the front end and you will save a lot of time, money, energy, and annoyance in the long run. The goal is to have 4 substantive message exchanges back and forth before the date. That’s a total of 8 exchanges between the two of you. If the other person too quickly says, “hey lets meet up.” You can respond by saying "That sounds great! But if you don’t mind, I’d like to get to know you just a little better online first. I promise, I’m not looking for a pen pal either…"
If the other person asks a few questions, answers a few questions, and in the same message suggests that you meet up. Simply ignore the meet up mention and proceed with the conversation. If the other person pushes you into meeting in person too quickly and you’re not comfortable with it, just say no. You are setting the precedent of the rest of the relationship. You are not a pushover. Your needs and your pace matter, are valid, and need to be respected. Get Offline and On the Phone. Yes, you’re taking it old school! A phone call can be extremely revealing when it comes to attitude, temperament, dating purpose, and personality. So, if after several substantive back and forth email messages you’re still intrigued, schedule a phone date. This should truly be like a date- set a time, then talk for as long as one hour. Be real and revealing. If, by the end of the call you’re STILL interested, set a date! How do you get the phone date? Once you feel like you have prequalified enough you can say, “I would love to get to know you better. How about a phone call?” If you’re the guy, offer your phone number and ask her what time works to chat. If you’re the woman, ask him for his phone number and ask him what’s a good time to chat. Then, as the woman, call with a block number, dialing *67 before you dial his number in order to block yours. That way he doesn’t have your number if it doesn’t go well. Ladies: This is for your protection. The reason why setting the time is important is because you are able to be on control of your environment and timing. You won’t be caught off guard or in the middle of something. You also won’t be waiting all week for the phone to ring, because you know exactly when to expect it. If they keep going back and forth with short text-style online messages, make your next message long. Tell a story about something they asked you. Then ask them a question that will elicit a story from them. It’s often times the "and why?" as opposed to the "what?" that brings out the story. In other words, instead of giving a list of what you like to do for fun, give the backstory about why you like to do that for fun. What is it about that that enlivens, refreshes, inspires, or relaxes you? When was the first time you did that thing and how does it shape your life today? It’s all about the "why?" If they keep asking long detailed questions, leading you two to be exchanging more than 10 messages of length, say "I’d love to tell you all about it. How about we talk on the phone? I’d love to hear the voice behind the words." If they say "it’s been fun talking online. Let’s set a date to meet in person. What works for you?" You can respond by saying, "That sounds great! Why don’t we set up a phone call to discuss?" Guys: Suggest a location that is closer to her. Ladies: If he asks where you want to meet, suggest 3 options of different price points and environments, all of which you like or want to try and are closer to you. It’s his job to be the man and decide on the final location. Let him be the man. And finally you meet… Because you have already created a foundation, thanks to conversing both online and on the phone, a “real” date of length - like a dinner - is appropriate. A throwaway coffee, on the other hand, is possibly the worst idea, next to sitting in a silence in the dark at a movie theater. When the check comes, guys, you’re paying. The next day, ladies, it’s you’re job to text to say, "thank you." 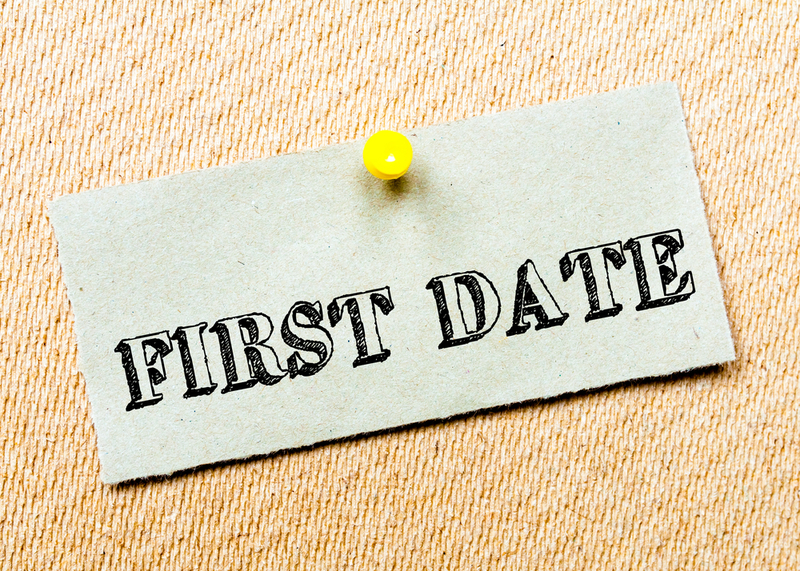 Before agreeing to a first date, you should make sure to ask these questions. Laurel House is an International Dating Coach and Online Dating Expert, and she has been a featured expert on The TODAY Show, E! News, Good Morning America, Nightline, Glamour, AskMen, and dozens of other print, online, and television outlets, with her dating advice videos receiving over 20 million views on YouTube. Her 5th book "Screwing The Rules: The No-Games Guide to Love” was published in December 2014 with Running Press. Learn more about Laurel.